On Thursday, Aurora, Colorado shooter James Holmes was found guilty of multiple counts of murder and attempted murder. It's the culmination of three years of pretrial psychiatric evaluations, an exhaustive three-month trial, and years of heartbreak for Holmes' victims and their families. Now, Holmes will face the rest of his life behind bars, but the families of the 12 dead and more than 70 injured in the 2012 attack will also never be free of their pain — and they're the ones we should be focusing on. Among the deceased were a six-year-old, as well as three men who died trying to protect their girlfriends. Some of those who survived suffered brain damage, paralysis, and other devastating injuries. Prosecutors maintained during the trial that Holmes had intended to kill all 400 patrons of the movie theater, and anyone who visited his apartment thereafter (he had left explosives, but those were safely handled by authorities). Back in 2012, thanks to millions of dollars in donations, all the victims who applied for compensation received it. 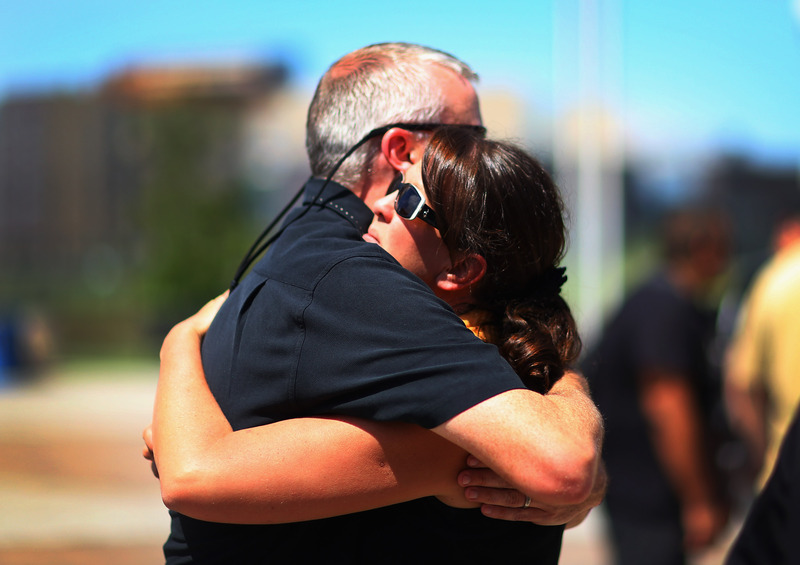 Five months after the shooting, the Aurora Victim Relief Fund was officially closed. "Eligible victims received the donations based on a protocol defined by special master Kenneth Feinberg, and we are grateful to everyone who contributed so generously," read the Community First Foundation's website. However, there remains something you can do to honor the deceased: Donate to the 7-20 Memorial Foundation, which seeks to build a permanent garden memorial to Holmes' victims. You can donate here. You can dedicate your donation to a person of your choice. "The memorial garden will be built as part of the Aurora Municipal Center Xeriscape Garden at Alameda & Chambers," the JustGive site says. And if you're keen to help in some other way, two ways you can absolutely make a difference are by donating blood (more information here) or signing up for organ donation here.